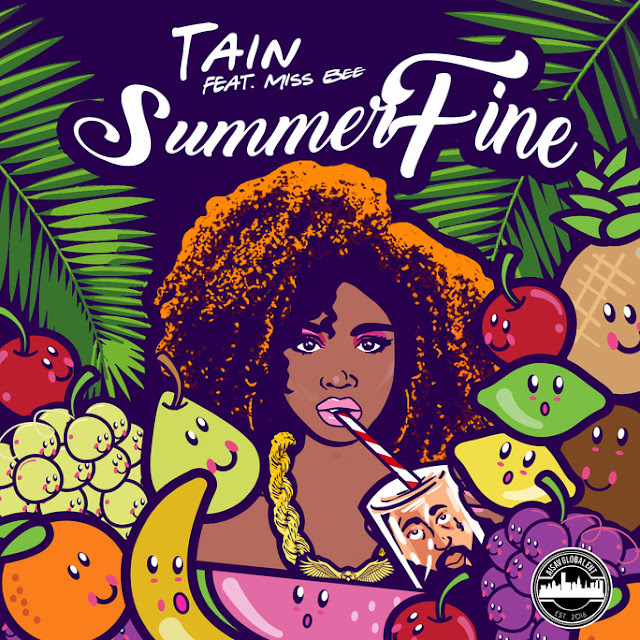 DENVER, CO – Just in time for Valentine’s Day is a hip-hop/R&B fusion from Denver-based artist Tain called “Summer Fine” that combines both romantic elements and an upbeat, fun vibe that is sure to have the ladies clamoring for more. Tain first came on the scene as a hip-hop artist in 2007. He grew up in Denver, Colorado before moving to Virginia and Iowa with a mother who worked as a traveling nurse. It was during his time in Virginia that he first began exploring his talents with music and wordplay. He joined a group called the Rich City Screw and performed in places all throughout Richmond. To this day Tain continues to perform for crowds with high levels of energy and an upbeat attitude all designed to help people have fun. That energy translates to his music, and anyone who listens to “Summer Fine” will find themselves bouncing and smiling and ready for more. It’s a song that he said people could play at a cookout and put on repeat, or play in the car while cruising. Like most of the music he creates, “Summer Fine” was drawn from experiences in his own life. He grew up in the struggle, and continues to do whatever it takes to make enough money to support his family. Toward that end, he continues to record his own music and collaborate with other artists, such as producer Tone Jonez – who created the beat for “Summer Fine” – and Miss. Bee, who is featured on the single. Fans who want to sample some of Tain’s music can visit his Soundcloud page or check out some of his videos on YouTube. Fans can also find out more about him as an artist by visiting his website at thaavglobalent.com, or following him on social media on Facebook, Twitter and Instagram. He’s also active on Snapchat under the handle @Iamtain.